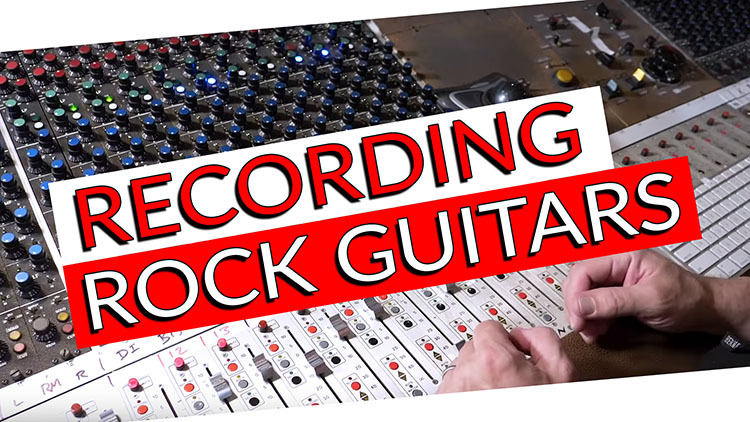 Today’s video is an excerpt from our newest course called “Recording & Mixing Punk Rock with Bradley Cook” In this excerpt we take a look at some of Bradley’s recording techniques when it comes to recording rock guitars. Bradley Cook is an engineer who’s worked with countless amazing artists, including Foo Fighters, Queens of the Stone Age, Counting Crows, Isaac Hayes, Ben Harper, Fishbone, and Everclear. He calls Barefoot Recording a home away from home, having worked there on and off since the studio’s renovation and rebranding in 2000. Bradley assisted Eric Valentine on projects over the years, while also venturing off on major projects of his own at various studios—notably Grandmaster Recorders, which was unfortunately sold for redevelopment nearly two years ago. Bradley brings 30 years’ experience as an audio engineer to the table, and his résumé speaks for itself! Recording & Mixing Punk Rock is one of the most sought after recording resources online. Discover Brad’s process for not only tracking a live drum kit, but actually producing them to find the prefect sound for the song. Become a fly on the wall as Brad breaks down every mic placement and piece of gear utilized to make the drums fat, punchy and hard hitting. As you can see from the excerpt below, Bradley explains every move he makes in detail and gives you a deep understanding of his thought process, so you can apply the same concepts to your future recordings. If you’re serious about taking your Punk Rock recording & mixing skills to the next level, checking out this new course, it will be the best thing you’ve done all year! Don’t forget! You also get the Multitracks of ‘Let’s All Have A Blast’ by The Gods Of Macho. With the multitracks you can follow along every step of the way, learn Bradley’s techniques at your own pace and use your final mix on your resume to attract new artists!